It's a lovely morning here in Reno County, Kansas. This was the eastern sky at 7:51 a.m. when the temperature was one degree Fahrenheit. 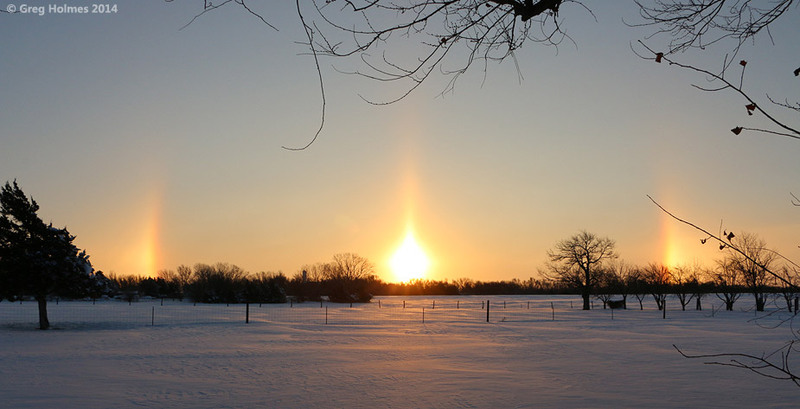 The effect is called a "sun dog" and is best looked up yourself rather than having me explain it.